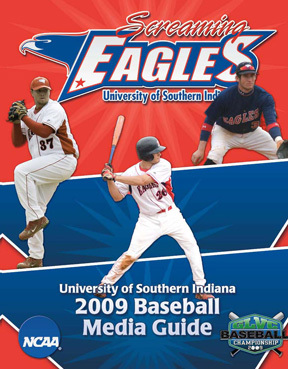 TRANSFER: Transferred to USI after one year at Wabash Valley College...saw action in three games out of the bullpen as a freshman, posting 4.50 ERA. HIGH SCHOOL: Lettered in baseball and soccer at Mater Dei High School (Evansville, Indiana)...was named first team All-SIAC as a senior...helped the Wildcats to the 2007 Indiana State baseball finals after winning the sectional, regional, and semi-state championships. SUMMER BASEBALL: Helped Funkhouser American Legion to the 2007 sectional championship after posting an 8-1 record. PERSONAL: Born January 23, 1989...son of Tony and Toni Brandenstein.